Co-Ed Pickleball Round Robin, All Levels. Homeschool and kid's not in school during this time can take advantage of our Monday early afternoon program. 1 1/2 hours of technical training. Fun & FUNdamental Tennis for Kids 5 -18 years! This class is dedicated to those just learning the game of tennis and have not yet progressed to match play. They learn stroke production and ball control, through concentrated activities. Costs: Daily $15 or for the month session $100. This is for the player who is actively playing on a school team, USTA tournaments, or team tennis. Tournament Prep takes skill acquisition to the next level with a series of instruction on the technical, tactical, physical, and emotional training, including regular evaluations, goal setting and video training. The Program runs Monday through Thursday with Match Play available on some Saturdays. The School Year program runs August - May. Cost for the Tournament Prep camp: Daily Drop in: $20 or Monthly Session for unlimited tennis is $125. Evite goes out on Thursday before, first 4 or 8 that sign up, play. If interested, email coachmike@benttreetennis.com and get on the list.  Get a tennis workout! Fast paced, great time! Hit a million balls! 7 pm - 8:30 pm, Cost: - $12 Open to the public! Come out for this fun and fundamental tennis clinic. Learn how to play the game that keeps you moving! 4 weekly lessons for $48 will get you rallying and enjoying this great lifetime sport. Join us for a mixed doubles round robin tournament to raise money for Pickens County High School students. Ask Coach Mike for an entry form!